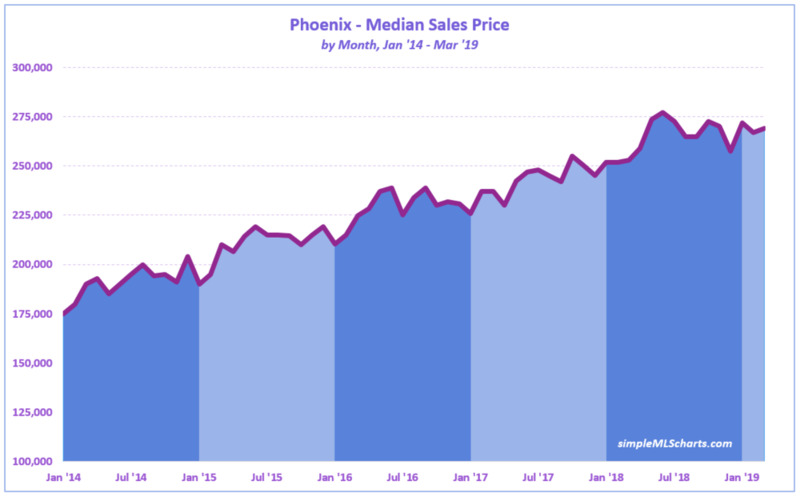 The median sales price in Phoenix hit $267,000 last month - the highest ever for the month of February and 6% higher than last year’s then-record $252,000. The housing bubble is easy to see, but it’s also interesting to note the pricing lag. 2005 and early 2006 were the peak years in terms of activity and the market being “red hot”, where any listing at any price would receive multiple offers before lunch on the first day. But even though the market started to cool off in late 2006, the median price continued upward in 2007 and held fast in 2008, before prices crashed in 2009. 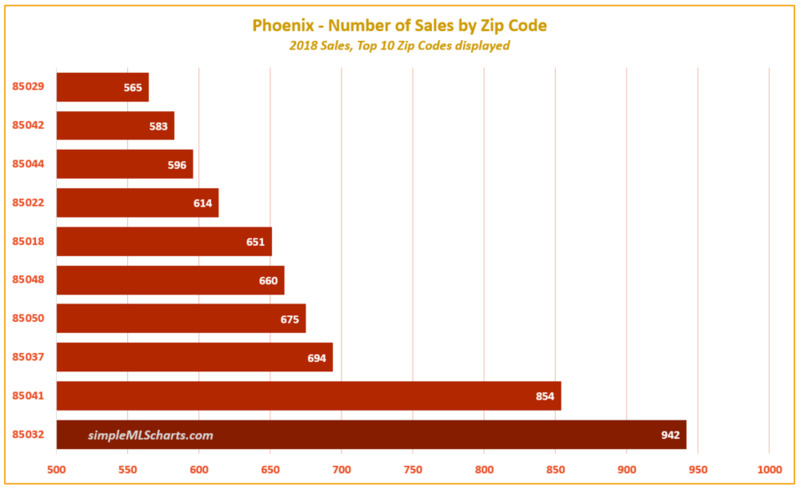 Chart 1 shows the zip codes which had the most sales in 2018. 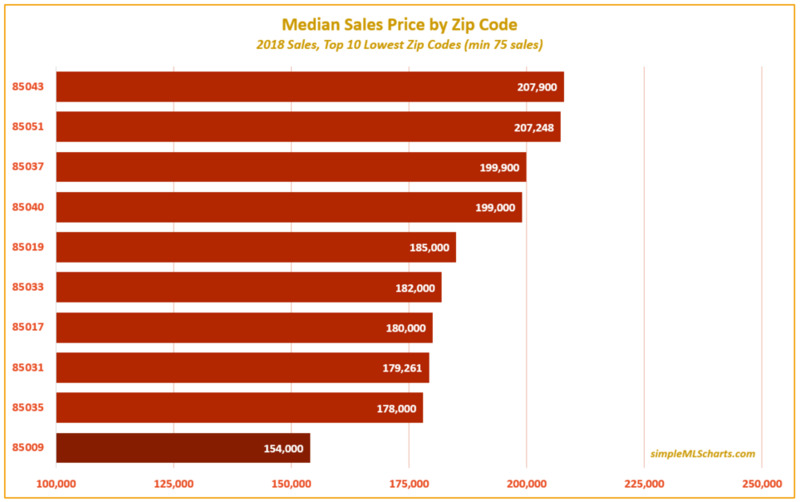 Chart 2 shows the zip codes with the highest median sales price in 2018. 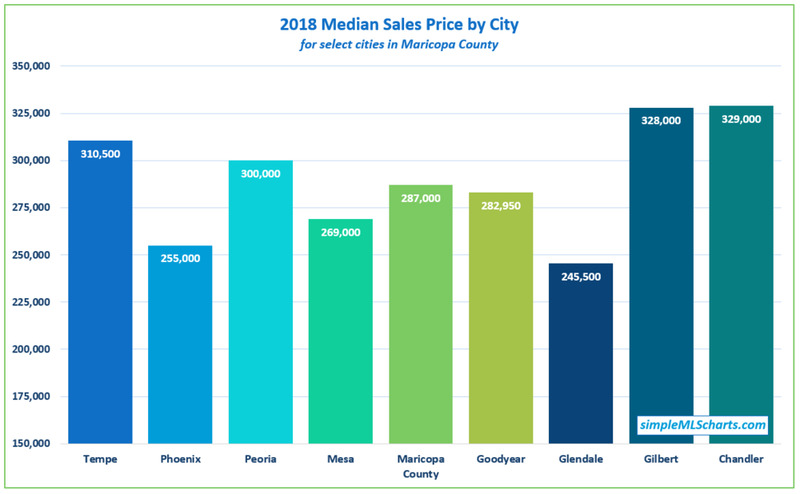 Chart 3 shows the zip codes with the lowest median sales price in 2018. 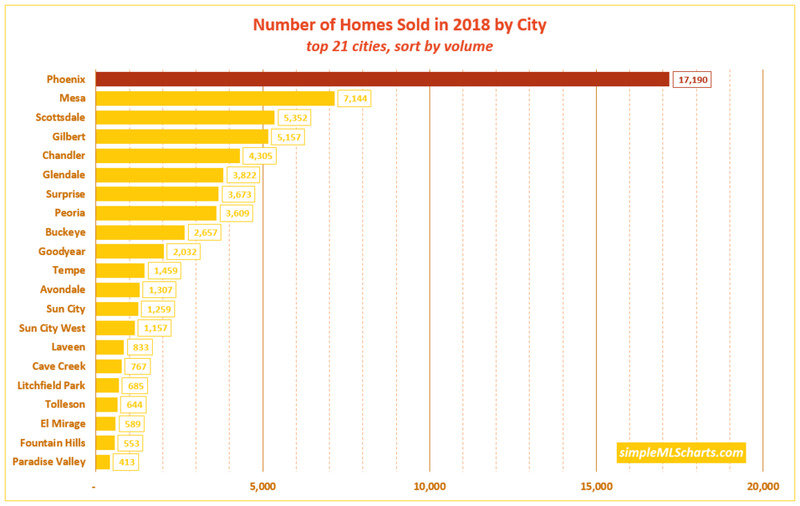 This chart shows 85032 was the busiest zip code in 2018, with 942 sales transactions. It also shows that the top 10 zip codes accounted for 6,834 sales, which is more than every other city in the Valley except Mesa (7,144 sales). 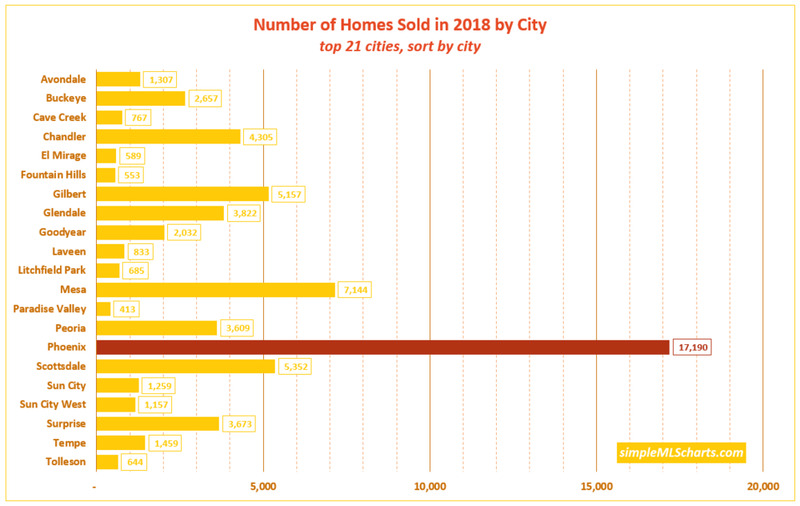 This chart shows 85018 as a highly desirable zip code, with a median sales price of $744,900. It also shows 4 other zip codes with median sales prices above $400,000 (85012, 85054, 85003, and 85016), and all 10 zip codes had median sales prices greater than $350,000. Zip Codes 85018 and 85050 are also in Chart 1, which means these zip codes are highly desirable and have a lot of sales each year. There are a number of zip codes in Phoenix where the median sales price is near to, or below, $200,000. The least expensive zip code in Phoenix is 85009, with a median sales price of $154,000. Zip code 85037 is also featured in Chart 1, showing there is a lot of sales activity in this zip code with a median sales price of $199,900.